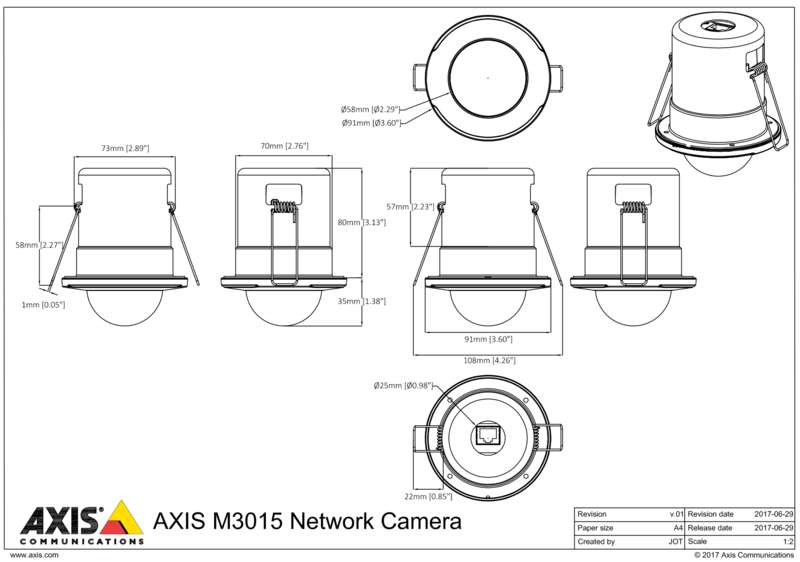 The Axis M3015 delivers HDTV 1080p at full frame rate. With WDR, the camera is able to provide excellent video quality in both the brightest and darkest area of a scene. Featuring Axis Zipstream technology keeping storage and bandwidth costs down, allowing users to get more out of their storage. Axis Corridor Format option allows for optimal coverage of isles and corridors. 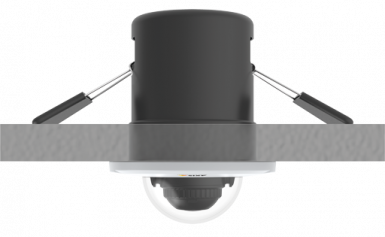 This camera has been designed specifically for recessed mounting for an unobtrusive, discreet look. The camera cover is easy to repaint to blend into any background making this camera ideal for a wide range of applications such as; offices, hotel lobbies, shops etc.